Modern flooring - Parquet, laminate, vinyl, linoleum, cork or rubber? The most popular and very modern parquet flooring is the herringbone parquet flooring. Pattern “herringbone” was named so for its resemblance to the bones of a fish and it is a very modern parquet flooring design. With herringbone parquet flooring tiles you can achieve the elegance your home desires. It is true that the herringbone pattern is very challenging and so the laying of the herringbone parquet flooring tiles can be considered an artwork. With other patterns, you can also achieve the look of a very modern parquet flooring. Attractive patterns like chevron or basketweave and sometimes even the most simple ones such is the brick pattern can turn out to be very elegant and modern. Parquet flooring is very charming and everyone has it's own favorite, whether it's oak, maple, larch, walnut, cherry, beech, and also bamboo is nowadays a very modern parquet flooring choice. But if you mind is not fully set up for wooden flooring, then you should turn to other options such as laminate or linoleum. Natural flooring or synthetic like vinyl, with all we can achieve that modern look you are looking for. At FLOOR EXPERTS we will advise you on any kind of flooring. Every type of flooring has its advantages and together we will make a proper decision for you. Wooden parquet, linoleum flooring, vinyl, maybe cork or rubber, like our motto says “Relax. We have it all”. 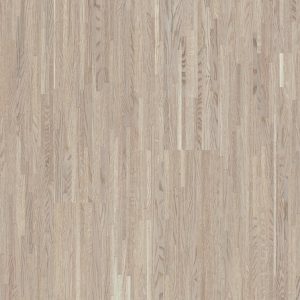 If you are looking for another natural option for your flooring beside the wooden parquet, linoleum flooring is then the right choice for you. Linoleum has many good characteristics, but the most important thing is that it is also a natural flooring. Linoleum is a good option and nowadays very trendy because it is a green building material. Most of its ingredients come from renewable sources and those who think green decide to go with linoleum flooring. Parquet or linoleum, both are good options of modern parquet flooring. From the variety of choices we have in our collection, we will help you decide on a proper flooring for you. Looking for a modern parquet flooring? Here at FLOOR EXPERTS, you will find many different types of flooring in our sales program. We have a variety of parquet flooring blocks for sale, whether you are looking for dark or light parquet flooring, maybe the herringbone, hexagon or basketweave pattern, regardless of your wishes we offer almost limitless choices for your flooring. We suggest you pick your favorites and together we will decide on the right parquet for you. Herringbone parquet flooring tiles are very popular, but everyone has its own likes and dislikes. And if parquet is not what you desire, then we suggest you take a look at our other offers like our collection of linoleum flooring. Parquet? Linoleum? Vinyl? Laminate? Let our experts help you with your choice.